Order the new cardboard coin box, containing 10 UNC-quality K.J. 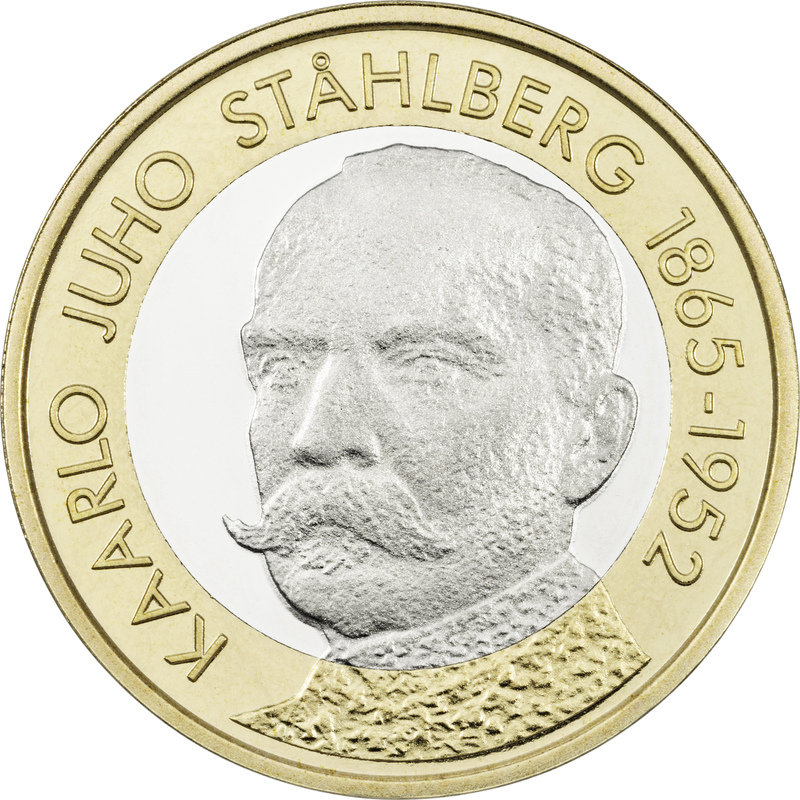 Ståhlberg collector coins, for your collection or as a memento or gift. UNC-quality collector coins are manufactured serially with stamping machines used in the production of circulation coins. 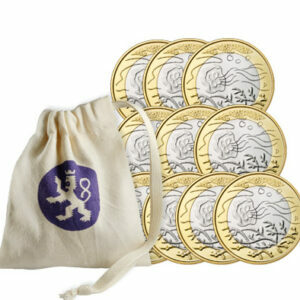 The collector coins are packaged in a new kind of cardboard coin box.. 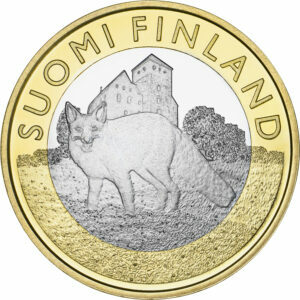 This collector coin with a nominal value of EUR 5 pays tribute to the first President of Finland, K.J. Ståhlberg. The obverse of the coin bears the portrait of K.J. Ståhlberg. 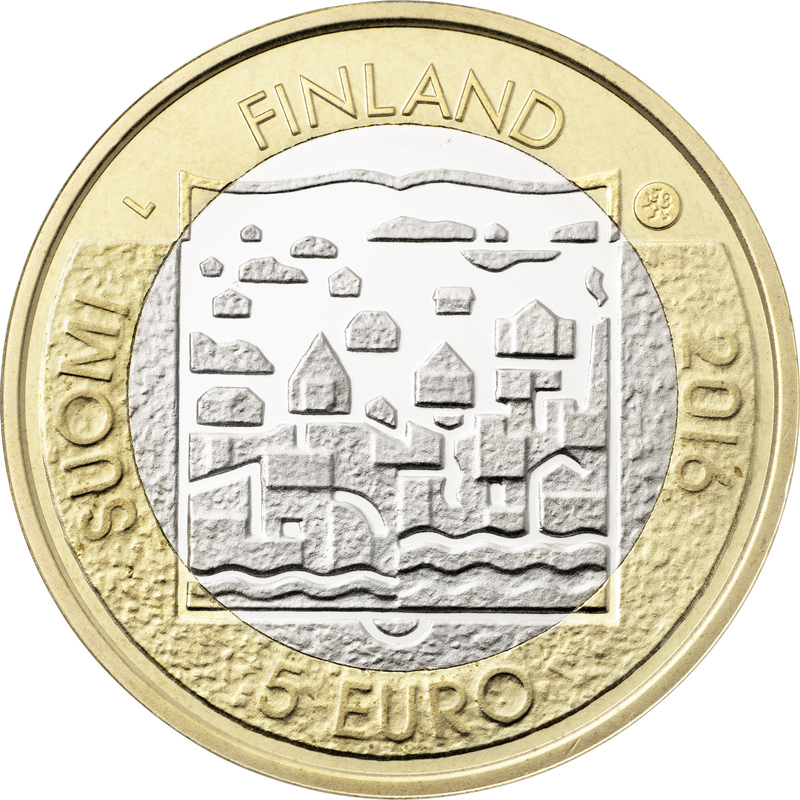 The reverse features a landscape of Finnish fields. framing an open book depicting a constructed urban environment. All coins in the series will share the same reverse. 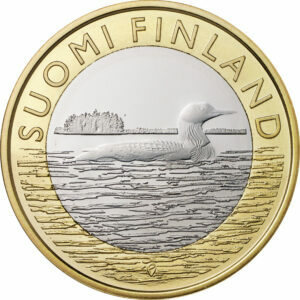 This beautiful collector coin is part of the new Presidents of Finland series, which Mint of Finland will release by decree of the Ministry of Finance in 2016–2017. A total of eight collector coins paying tribute to the presidents of Finland are planned for release in the series, with the coins of K.J. Ståhlberg, L.K. Relander, P.E. Svinhufvud and Kyösti Kallio to be launched in 2016. The coins of Risto Ryti, C.G.E. Mannerheim, J.K. Paasikivi and U.K. Kekkonen are planned for release in 2017. 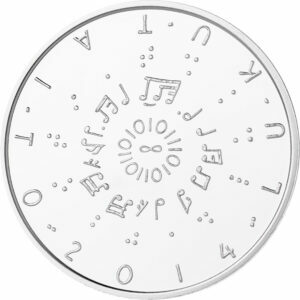 The collector coins are designed by Tero Lounas. The collector coins of the Presidents of Finland series will feature in the Finland 100 programme celebrating the centennial of Finland’s independence.